Coming off of a closed beta earlier in the month, along with a closed alpha that will be wrapping up today, the developers over at Xaviant have been giving the gaming community multiple opportunities to test out and provide feedback for their upcoming title. Following that same order of community-based testing, they have just revealed that their PC exclusive game The Culling will be coming to Steam’s Early Access program in roughly a week on March 8th. The Culling is, unique, to say the least. Players are pitted against one another in a battle royale on a massive island. It’s somewhat comparable to a more modern version of The Hunger Games, in the fact that you will have to explore the land to uncover different items that you can then craft together to form brutal weapons. However, there are also more conventional weapons stashed around for you to find such as pistols, tasers and of course, the occasional chainsaw. 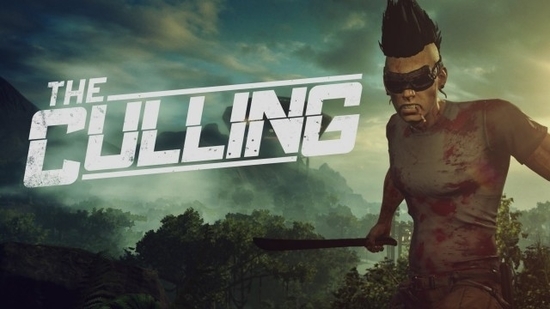 The Culling brings a no holds barred, king of the hill type of play to an entirely new level. Presenting sixteen players going head to head in a live broadcasted match, with each of them trying to become the sole victor. Along with the wide range of weapons that are available, the developers have chosen a non-linear path in terms of how players can eliminate each other. So when finding a high-traffic area, you have the ability to place a trap to catch any unsuspecting enemies. Or if you just so happen to come across a distracted player standing on top of a cliff, you can send them flying right off the edge. Although The Culling is in its very early stages of development, the graphics and gameplay are still incredibly detailed and run smooth throughout different phases of exploration and combat. Some things still need to be buffed out, but that’s expected at such an early phase. All that being said, along with the great foundation of the game’s plot, it certainly demonstrates what the future of this title could turn out to be. Just a heads up that to get into the action on the alpha gameplay video above, you'll want to skip ahead to 6:15. The Culling is coming to Steam Early Access on March 8th. For now, this title is only releasing onto PC, but could possibly make its way onto other platforms sometime down the road. Daniel37Parker, God, Dini and 5 others like this.